Forgot to post about this little last minute adventure I had while staying in Kerikeri. 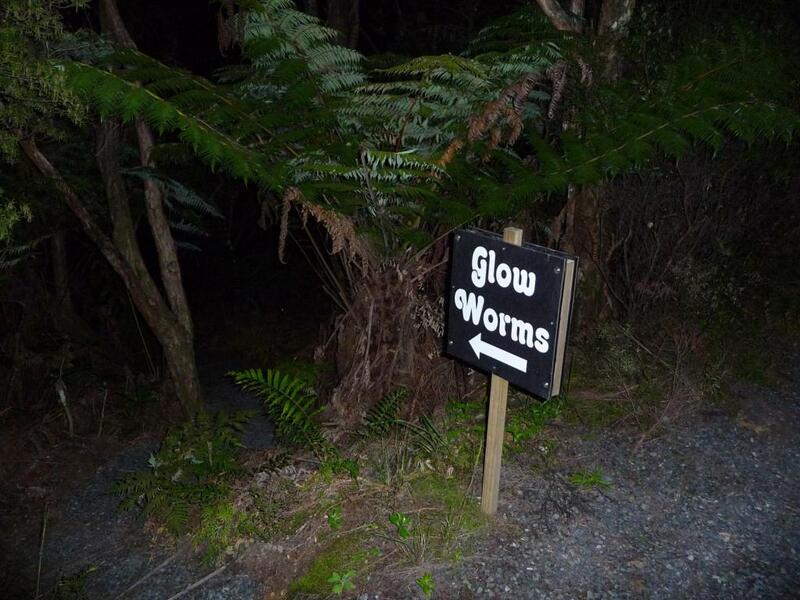 Glow worms are something you’ll hear mentioned a lot here in New Zealand for a tourist activity, but I had yet to see any. They are often found in caves or the like – they need very dark locations at night to be properly seen. 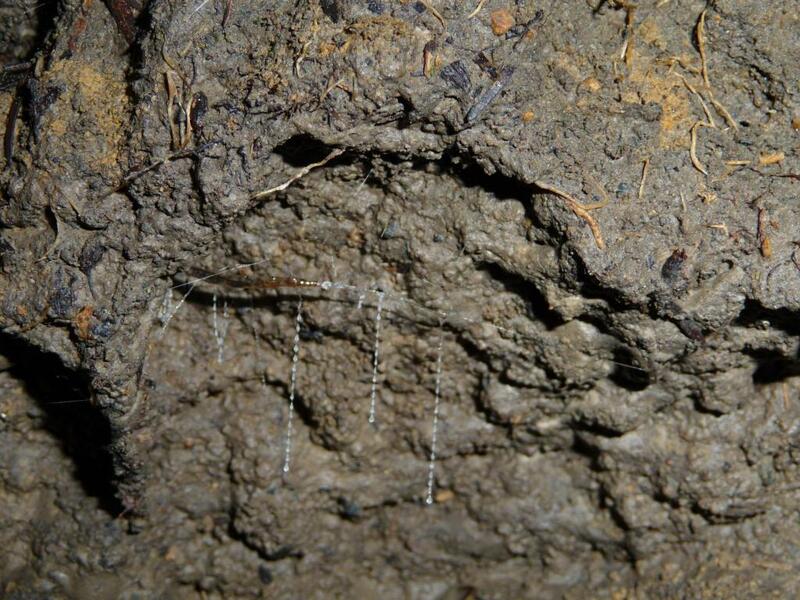 My hosts in Kerikeri had a short walk to get to see some glow worms, sort of on an embankment/wall near a stream. I took the opportunity to go see them on my last night. As you can imagine, it was a dark walk. I had my flashlight (or ‘Torch’, as they are called here), but even still you really notice how nice and dark things are. I didn’t have too much issue finding the glow worms down the path.  Kind of hard to make out, but that’s the extent of what my camera could capture with a 60 second exposure. Click on the picture for a better view. It looks like a bunch of stars, just you are staring straight ahead instead of upwards. They also are sort of a bluey light.  On the walk back up the path, there are a few glow worms that I could get a closer look at. The worm itself is center-left, follow the streamers to get to it. When a light shines on it, the worm turns it’s own glowing light off and blends in with the dirt pretty well! Anyways, that was just a curious little side trip. I’ve been busy here in Helensville, thus the lack of daily updates, but I should have a few up in the next 24 hours, detailing chooks, black sand beaches and raspberry bushes. This entry was posted in Auckland Region, New Zealand, Travel by Colin. Bookmark the permalink.